Hey there! Thanks for dropping by NeverLanding! Take a look around and grab the RSS feed to stay updated. See you around! Our time spent in Paris was amazing, but it was time that we moved on. 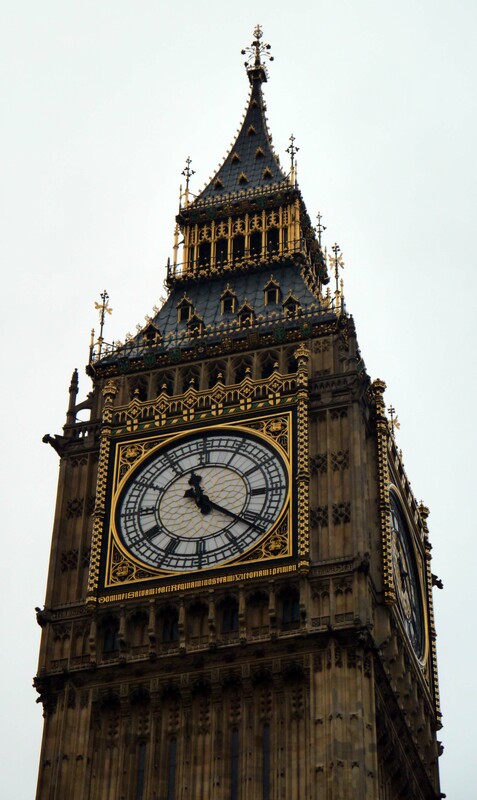 Our last destination was London and it would be in London that my family and I would celebrate Christmas! To get to London we road through the Channel Tunnel (aka, the Chunnel), which is an underwater train tunnel that crosses the English Channel from France to England. It was exciting and nerve-racking thinking about crossing through a tunnel that was surrounded by water. However, going through the tunnel itself turned out to be rather uneventful, which is probably a good thing now that I think about it. Once we arrived at London at London St Pancras we were met by a spattering of british accents. Although it wasn’t like home, I felt relieved that I was finally back in a country where English was the main language. It made me realize just how much I had missed hearing those familiar and recognizable words. From the station we hauled our suitcases out the front doors and decided to drag them down the street for a few blocks to our hotel, which was really close. My family and I made sure to look for cars driving on the opposite side of the street, which even with the LOOK LEFT or LOOK RIGHT signs on the ground, was still hard to remember. We made it to The Hotel Russell in one piece and were greeted by the warmth of the sun (it would be our only day in London without rain). 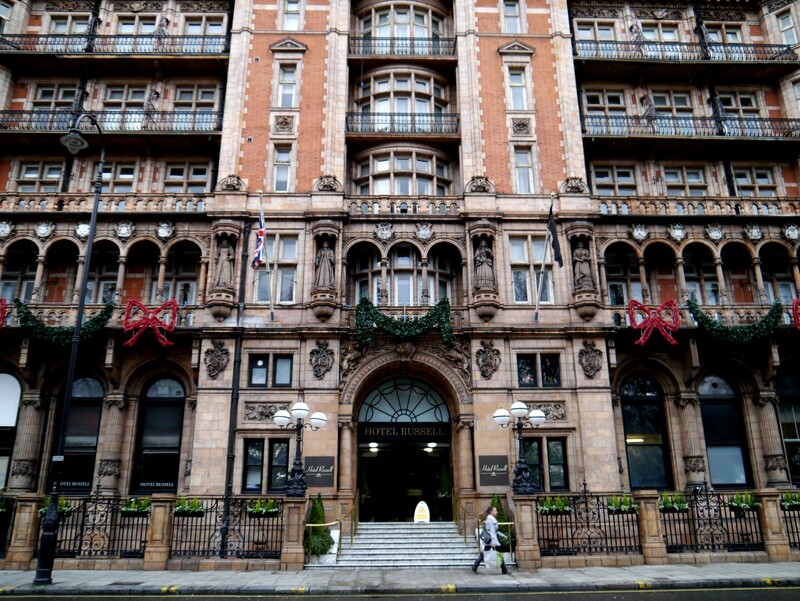 The Hotel Russell near Russell Square Station. 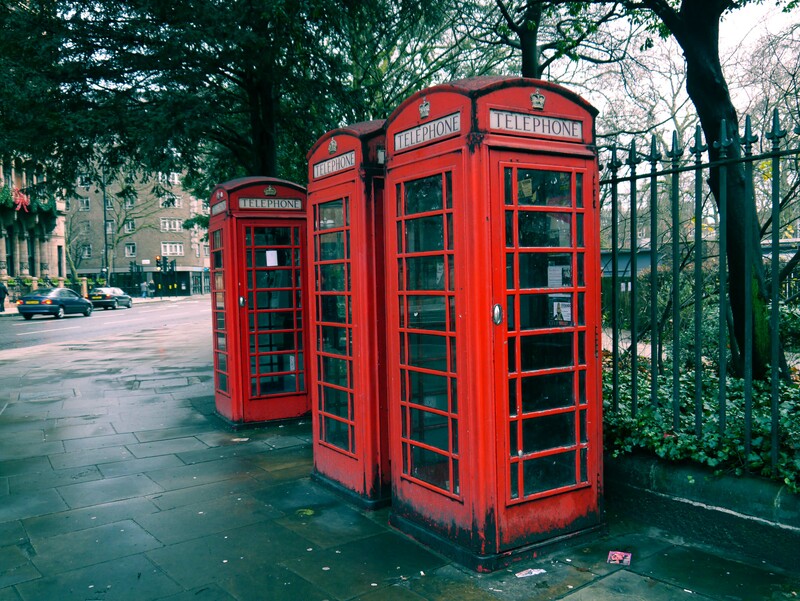 Just across from our hotel were the famous London telephone booths. Don’t let the bright red exterior fool you though, inside they smell like any other telephone booth (not good) and upon the walls are a number of scantily clad women with a telephone number next to them (you can probably guess on your own what they’re advertising). We didn’t have much of the day left to go exploring, so we wandered over to Charles Dickens’ house and took a few photos of the outside, because the museum was closed. We then made our way to an small Italian restaurant. The meal was delicious and the waitress was more than happy to chat with us and give us some information on what there is to do in London. That night we all rested well for the day to come. The following morning we all trooped down to the Underground station for what was going to be a day packed full of sightseeing. There was a long line for the elevator at the station, so my family turned to walk down the steps, but we turned right back around when we saw the sign proclaiming that it was 175 steps to get to the Underground. What we didn’t realize was that the elevators were large enough to fit a small car inside, so we made it to the Underground without any fuss. 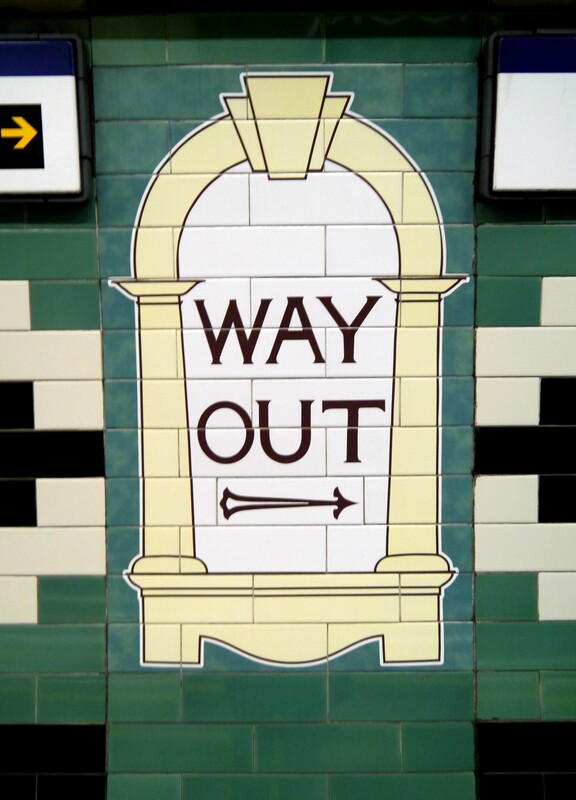 One thing I loved about the signs in London… the exit was called the “way out”. I have no idea why someone decided “way out” was better than “exit”. 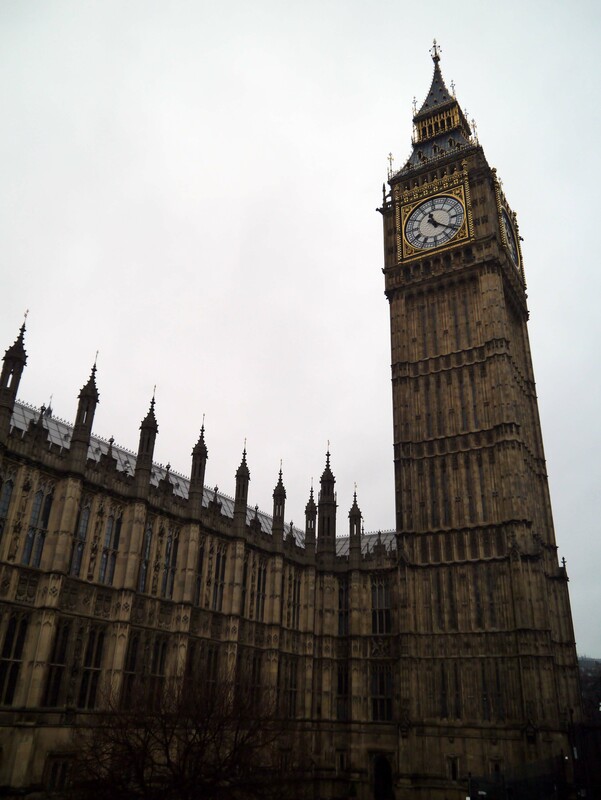 We road the Underground (the trains are surprisingly small, I could have touched the ceiling) to Parliament and came out of the station right under Big Ben. I’ve said it before, but it still amazes me when I go somewhere and see famous sights. 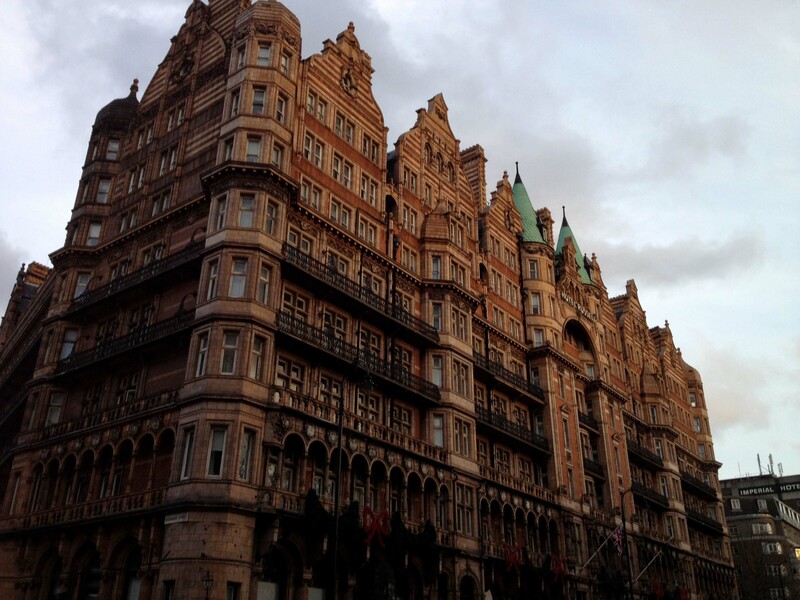 There are so many movies, TV series, and books set in London, so many in fact, that I felt like I knew London without even having been there. In reality there’s nothing as inspiring as seeing the sight for yourself. After admiring Big Ben, we headed to Winston Churchill’s WW II bunker. 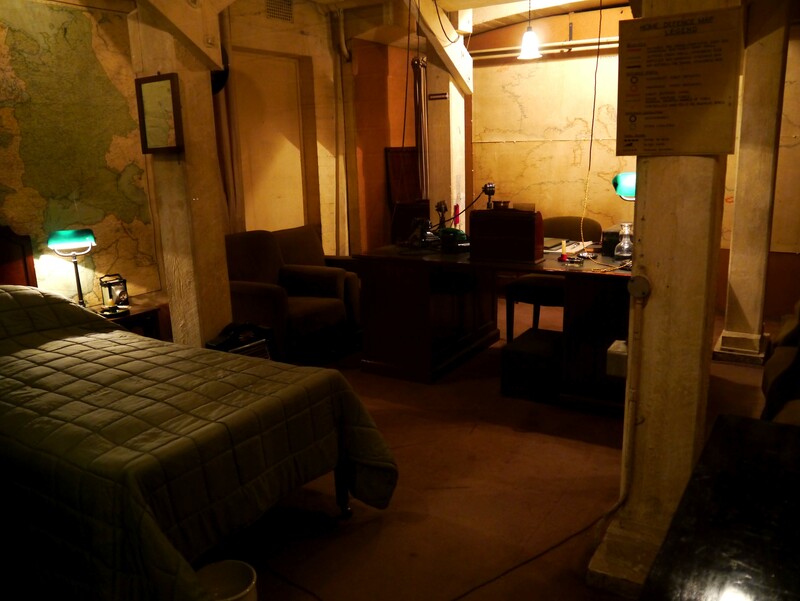 He only spent three nights total in the bunker and the bunker itself was never bombed, however it was the base of operation for Churchill during the war. The bunker consisted of sleeping quarters for his officers, war rooms, meeting rooms, the map room, a kitchen and rooms for communication. 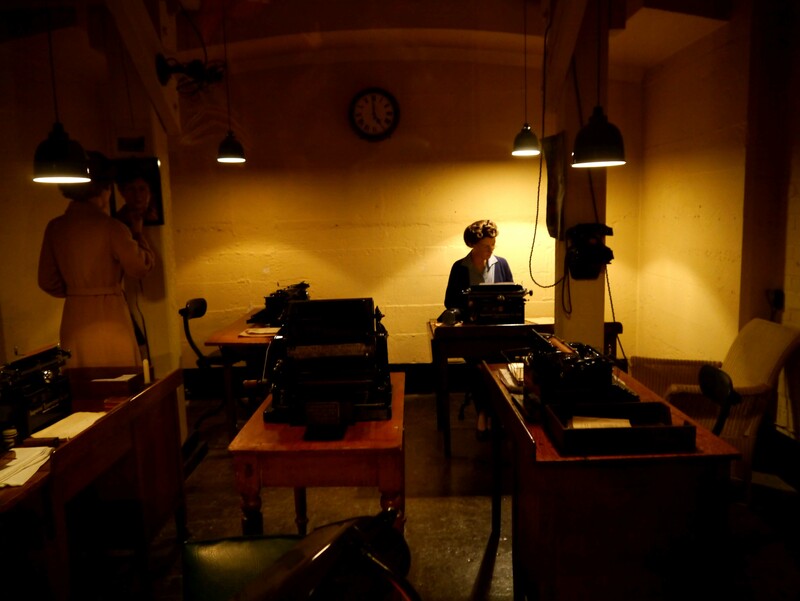 Churchill even had his own secret room with a telephone that connected directly to the President of the US (FDR at the time). Today it is a museum, which has kept many of the original rooms intact and has added a room specifically dedicated to Churchill and his life. Churchill’s room. He loved maps, so the walls are covered in them, he probably thought of strategy in his sleep. Although he didn’t often spend the night in this room, he always took a one-hour nap during the day. Correspondence room. During the war there were a number of workers here sending and receiving messages. There was always at least one person there. The tunnel to the map room. The walls of the tunnel are made of concrete. The map room is filled with maps from ceiling to floor, which are covered in so many pins that they are more hole than map. Churchill’s bunker was impressive and a great museum, but it was a relief to finally step outside again and breathe fresh air. I can’t even imagine what it must have been like to work there for most of the war. 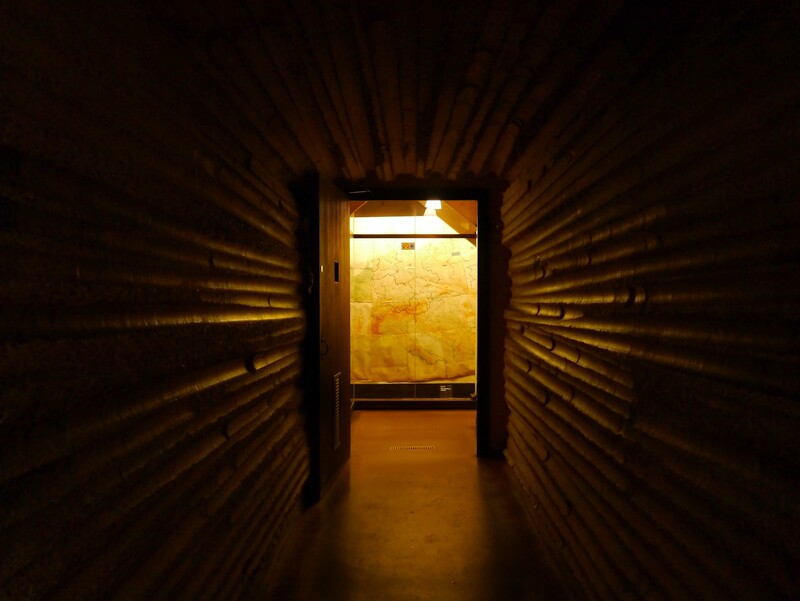 The bunker halls and rooms were lit, but the light was dim and orange and the small hallways and constricting rooms couldn’t have been relaxing. Of course most anything was preferable to actually being out on the street while the threat of an attack hung over the city. 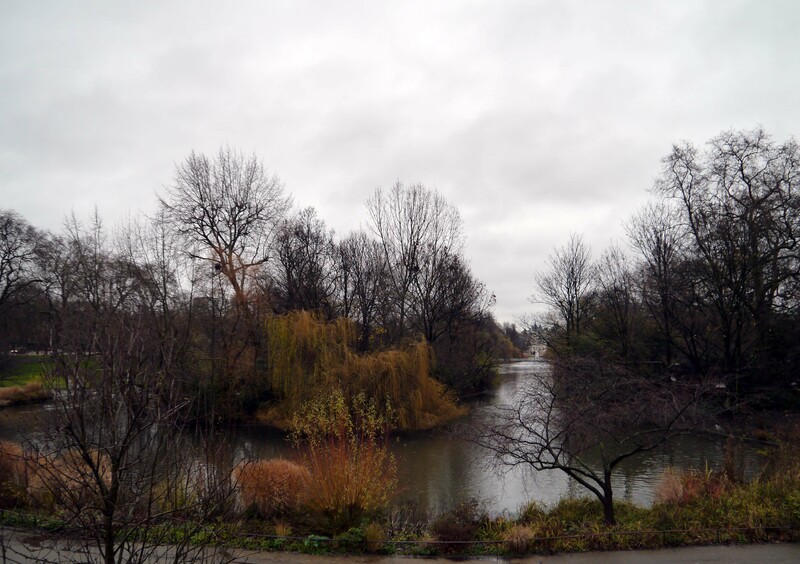 After the museum, we crossed the street to St. James’s Park, which surrounds a small lake. The park is filled with birds of all kinds and hundreds of squirrels. All the park creatures were daring and approached people with the hopes of a snack. 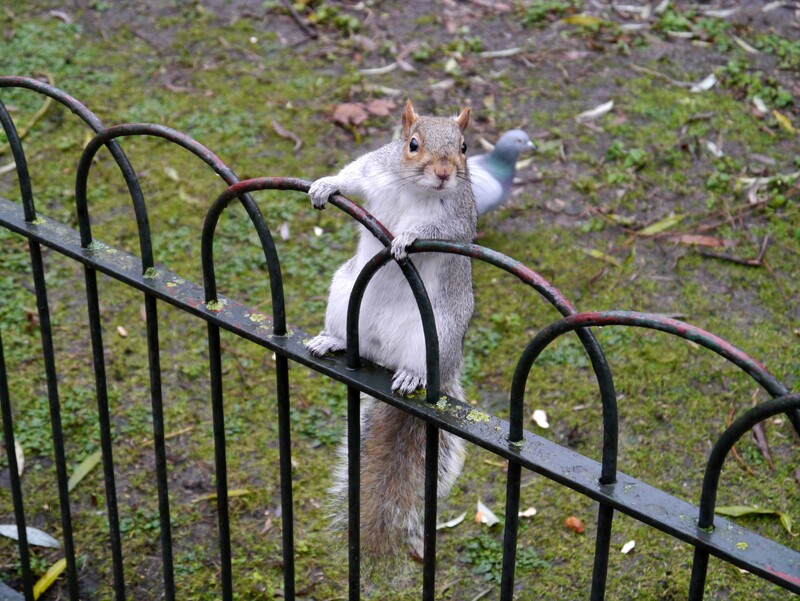 The squirrels were especially brave and would walk onto the pathway and take food from people’s hands. We fed a few of the squirrels and one started to climb my father’s leg until he got scared and shook it off. 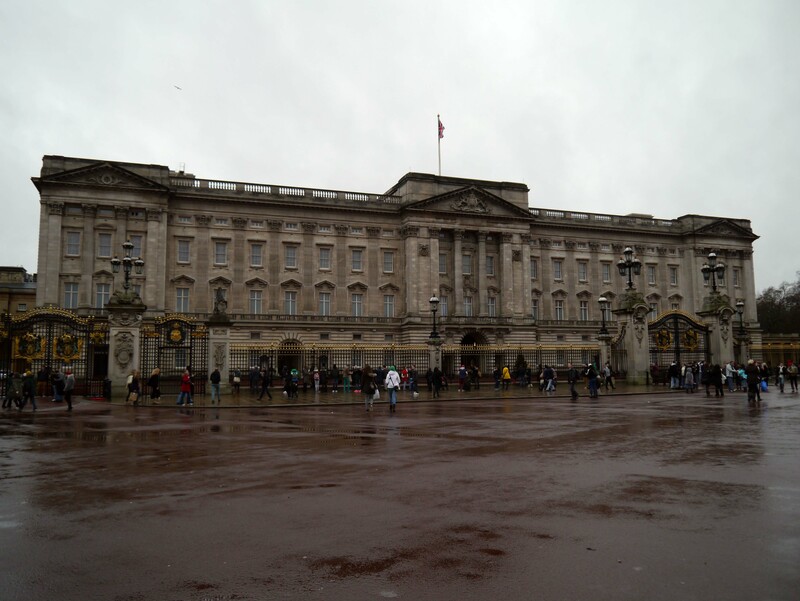 We walked through the park until we came upon Buckingham Palace. 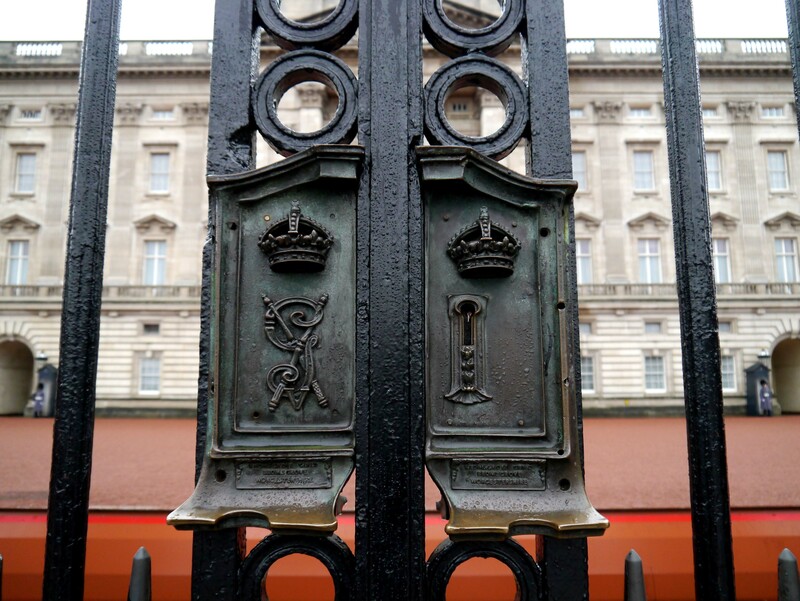 For some reason the Queen’s Guard was not wearing their red uniforms. I’m not sure why, so if anyone knows, please feel free to tell me! A guard with his bearskin cap. 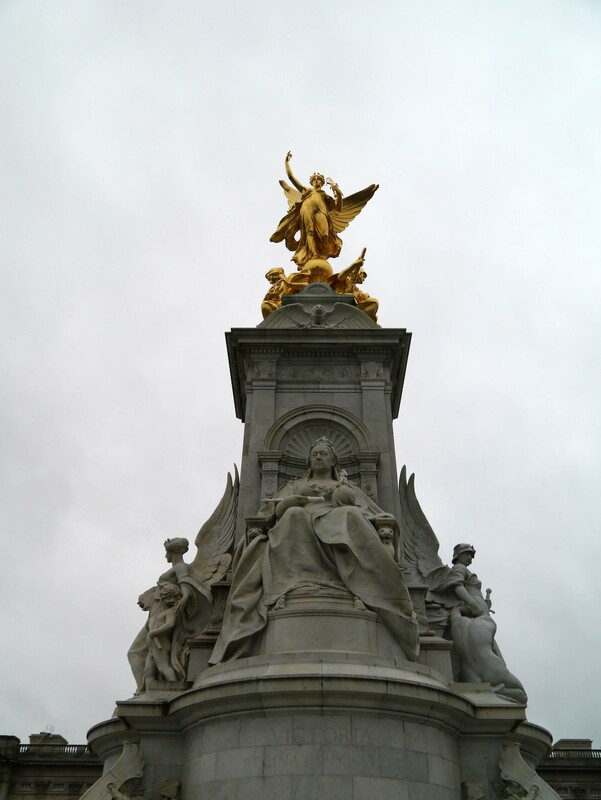 The Queen Victoria Memorial in front of the palace. 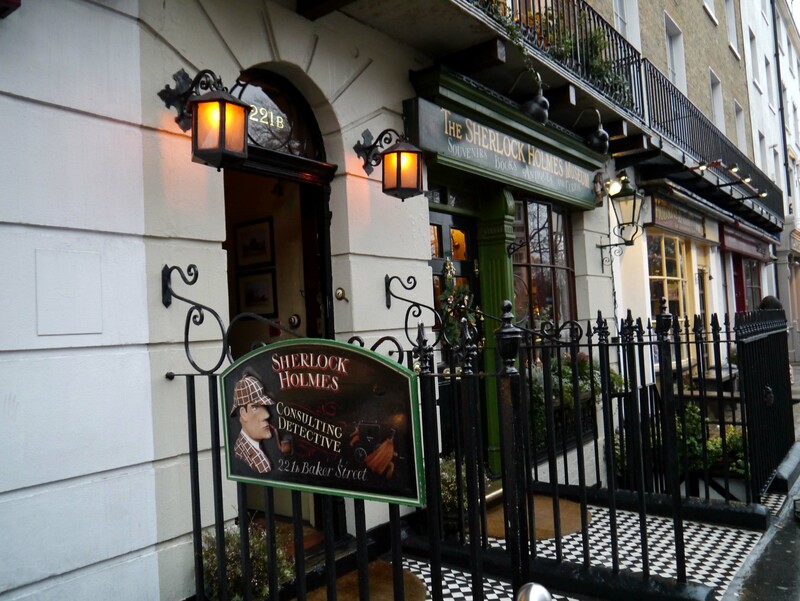 Soon after the palace we took a taxi to 221b Baker Street, which is the famous residence of the London detective Sherlock Holmes. To the left, is the actual apartment, which is set up to look like his house. To the right, is a shop where the souvenirs and tickets are bought. The apartment was fun to wander through. The first and second floor consisted of rooms set up with various knick-nacks and items from Sherlock and John’s life. The third floor had wax figures from all the cases Sherlock had solved. I had quiet a scare on the third floor, where an old man sat against the wall with the wax figures. At first he sat very still and I thought he was apart of the exhibit, but he suddenly began moving I had to do a double take before I realized he was alive! Our last stop of the day was the London Eye. It was pouring rain, but lucky for us the line was not too long. The Eye was beautiful and glowing blue in the rain. As we walked up to the enclosed carriages they didn’t stop, but moved along the ramp at a slow pace and we had to stumble our way onto them. The carriages held around 20 people. 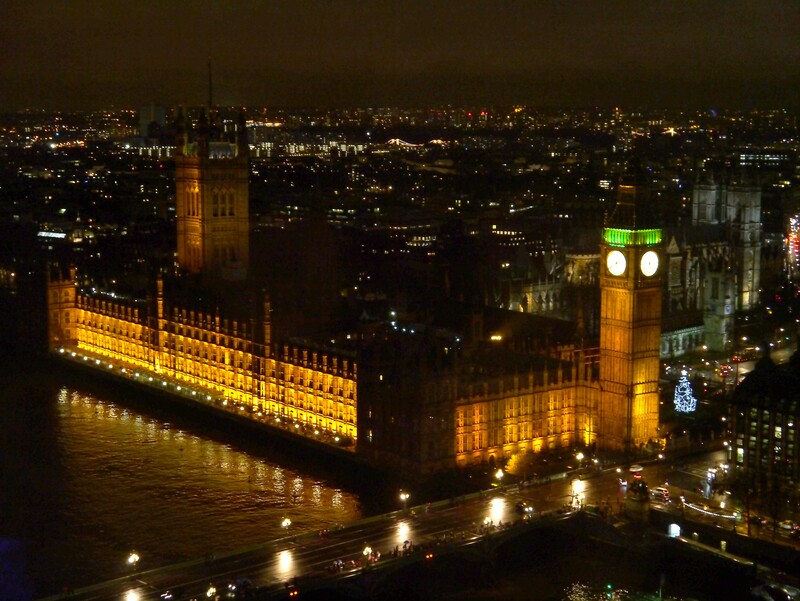 Big Ben from the Eye.